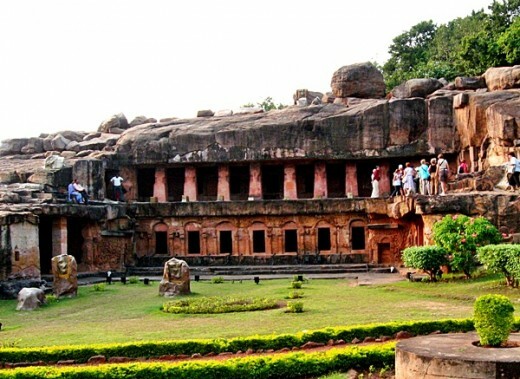 Udaygiri-Khandagiri is a group of caves which is very important in the view of archeology, religion and ancient history of India. The caves were carved for Jain monks in the reign of the famous Kaling Emperor Kharvel, who was a great patron of Jainism and a devote Jain. 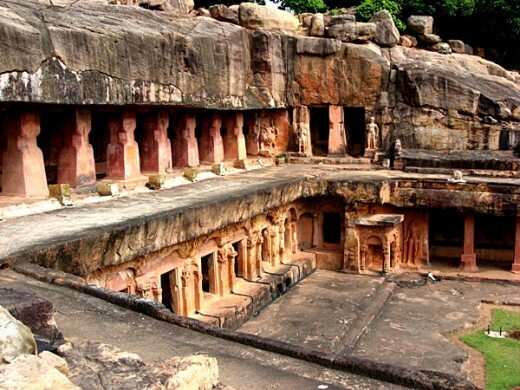 The caves were exclusively carved for the wandering Jain monks who occasionally resided here. This was a great place of meditation for Jain monks. The caves were carved in 2nd Century B.C.E. 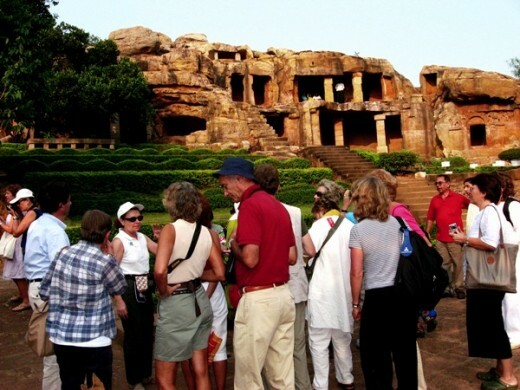 The caves are situated on two hills near Bhubaneshwar, the Capital city of the state of Odisha, India. 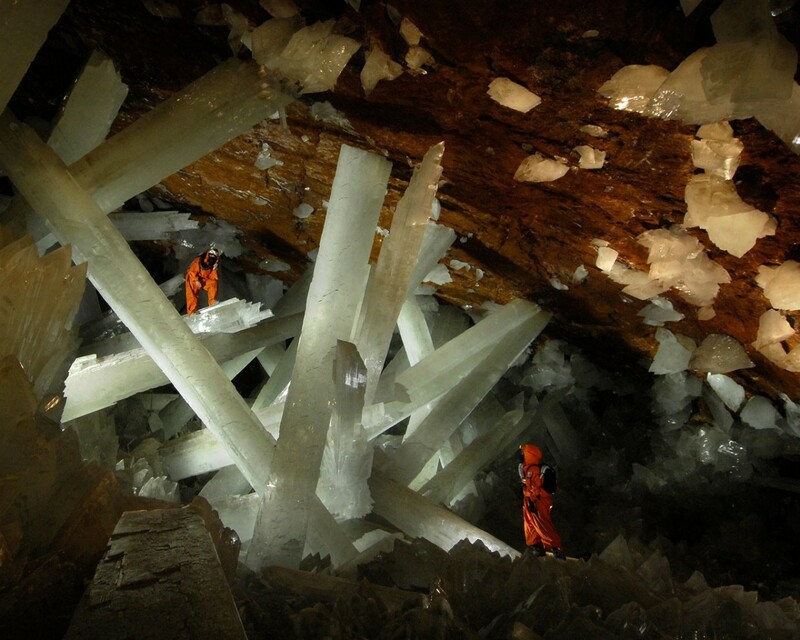 There are a total number of 33 caves. Few years ago I got an opportunity to visit the cave with my cousins and uncle. I took a lot of photographs of the caves and the art sculpture in it. Hathigumpha (Elephant Cave) is the most important cave of the Udaygiri-Khandgiri as it has an inscription which is very useful to know many things about ancient India. The inscription is in Brahmi script and Magadhi language and written in 17 lines. The inscription gives many details of the incidents in the life of Emperor Kharvel, including his conflict with Greek invader Demetrius and the surrender of Pushyamitra Shung, the Emperor of Magadh. The inscription starts with the ancient version of Namokar Mantra of Jainism. This is the oldest inscription where we find the word Bhaarat (the original name of India). 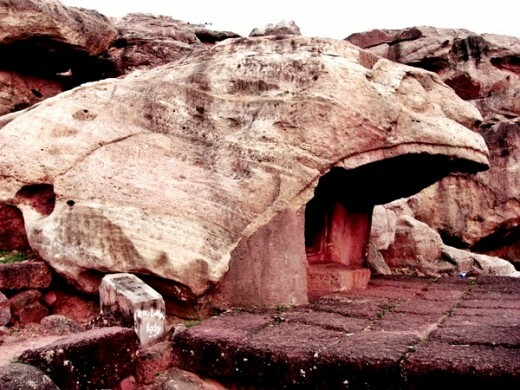 This is one of the most important caves on Udaygiri Hill. This cave was carved on wish of Sinhpath, the queen of Emperor Kharvel. This cave is two storied and has a big ground in front of it. The cave is carved in natural rock. There is a lot of sculpture carved on the walls of cells in this cave, which tells us about the life of the Emperor. 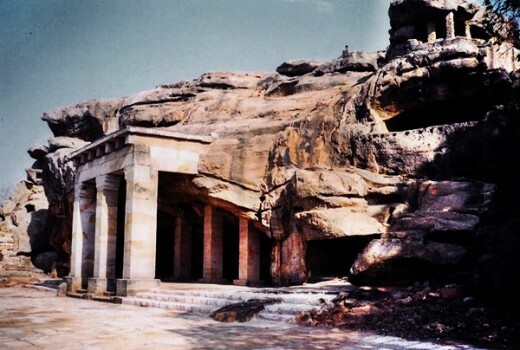 Baghgumpha or Tiger Cave is a unique cave of Udaygiri. This cave looks like a tiger with opened mouth. 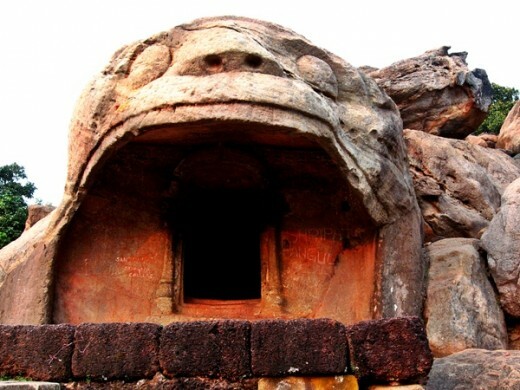 The Architect of this cave has done his best by carving teeth, nose and eyes like a tiger. 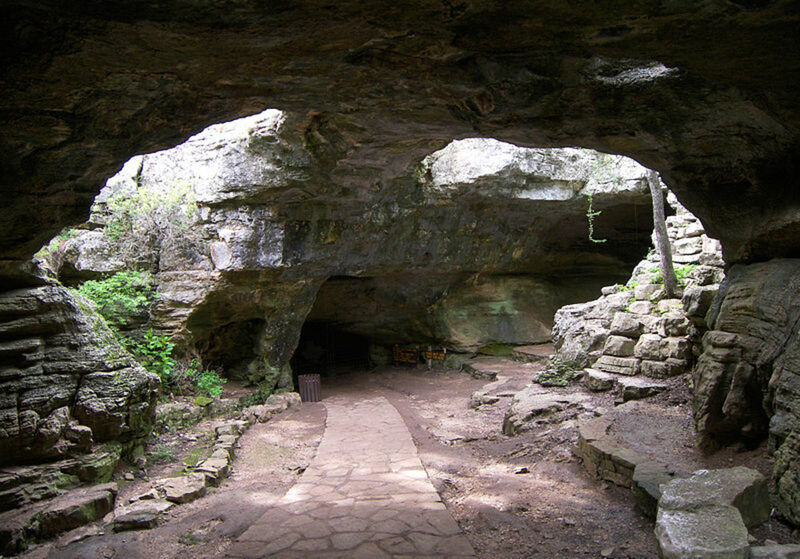 The cave has a small veranda and a meditation room. There is an inscription with the symbol of Swastik in it. There are many carved sculptures in the Rani Gumpha, i.e. the Queen's Cave. The sculptures are related to some historical events. Here are tow photographs of such sculpture. In first photo, Emperor Kharvel and his Queen Sinhpath with others are bowing Jain ascetics. 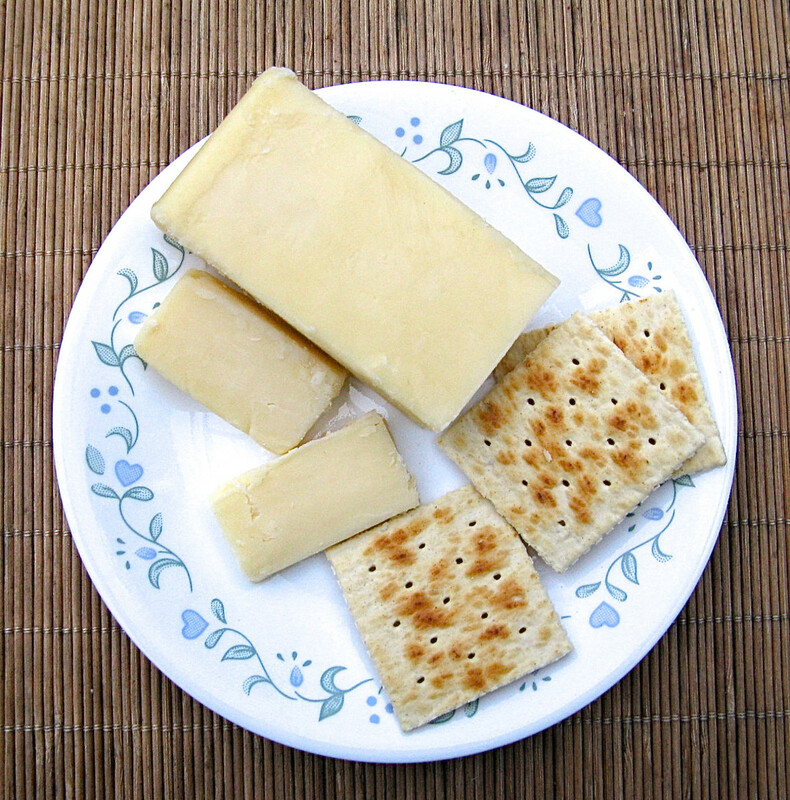 Second photograph is about a battle. 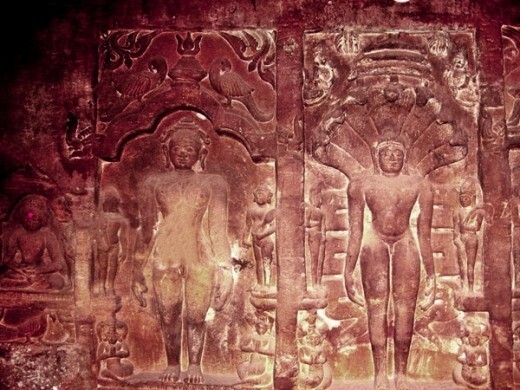 In the caves of Khandgiri, there are many beautiful and ancient idols of Jain teertahnakars. 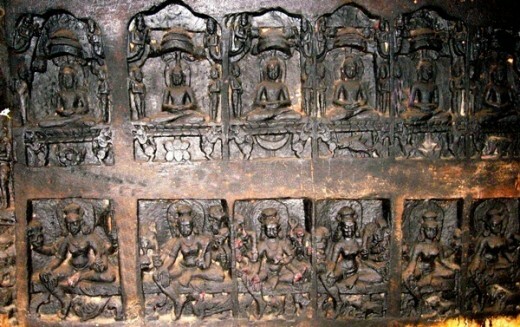 The first photograph is a part of the panel of idols of 24 Jain Teerthankars with their symbols and their protector Goddesses. 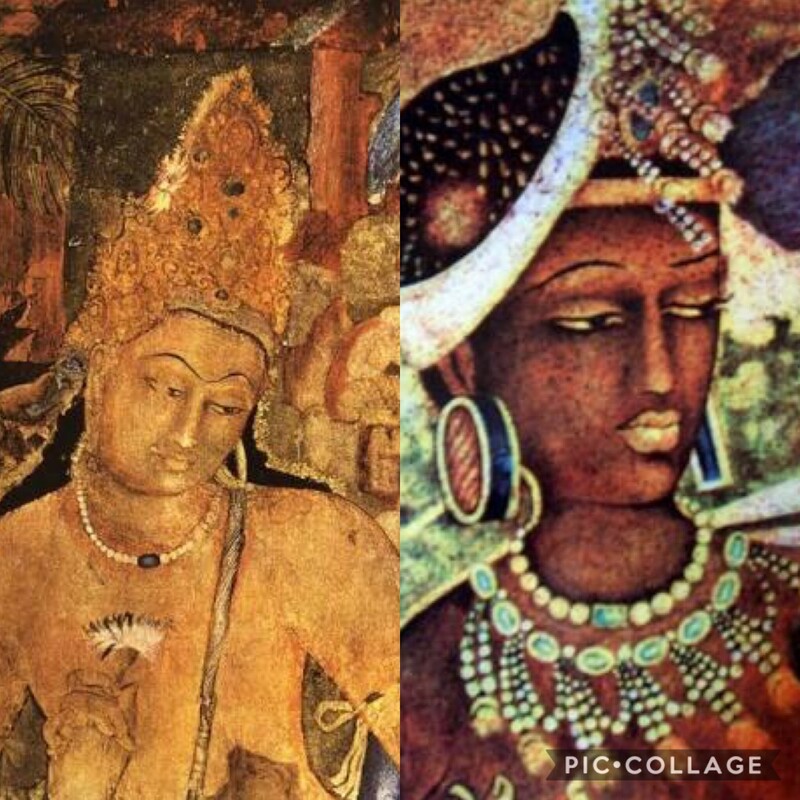 The second photograph depicts idols of two Teerthankars. 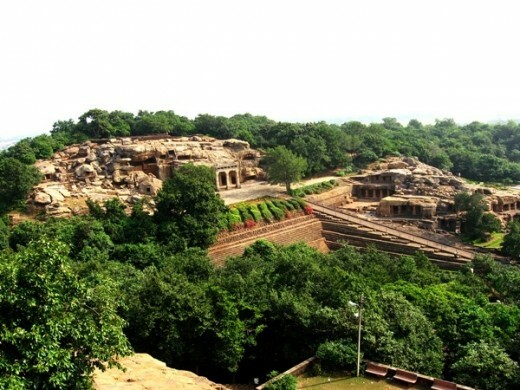 As this place is very important for those who are interested in Ancient Indian history, archeology and Jainism, hundreds of thousands of tourists and pilgrims visit it every year. below is a photograph of European tourists visiting this place. Visiting other cities and countries is an exiting thing. We mus travel wherever possible, but before it we should remember that there are many places to visit in our own city. 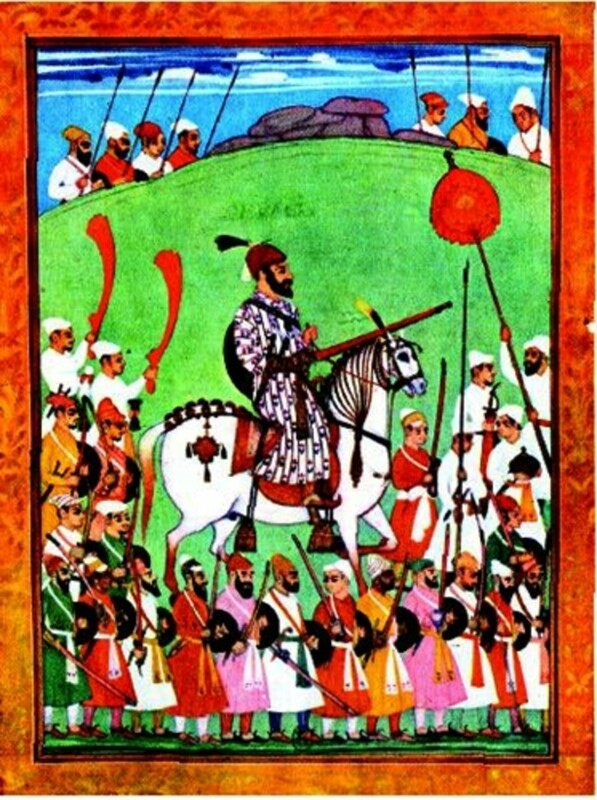 हम सभी आपके बहुत आभारी है जो इतनी बहुमूल्य जानकारी आपने हमें उपलब्ध करायी . में चाहुगा की पुरे देश की जैनसमाज आपके इस कार्य के लिए सम्मानित करे. It is my pleasure to get your valuable comments. I had no idea of this place but the pictures show how amazing it is. Such crafted and talented people. certainly wouldn't have known about this amazing place were it not for your excellent hub. 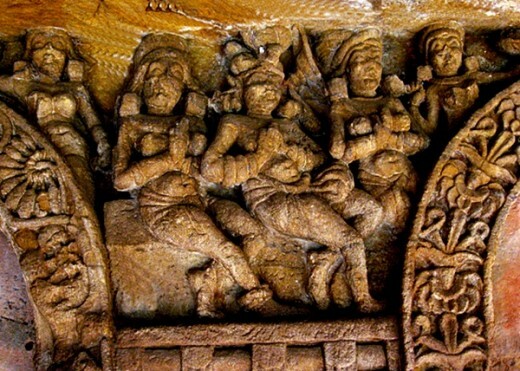 Hi jainismus, the carved sculptures are so detailed and the tiger cave impressive with it's opened mouth, these are wonderful photos and a very interesting and informative hub. 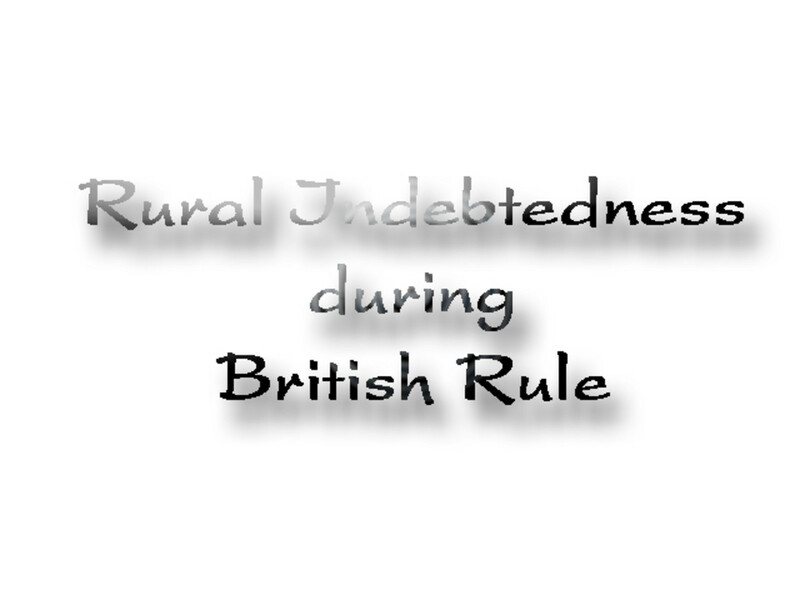 What a Rich Informative Hub read Jainismus. I Loved the pictures, as well the History Lesson. Places that I will probably not be able to visit, were such a treat to read about. I look forward to Following your Hubs. Please enlighten me more on such extremely important Ancient Indian histories of which U have knowledge. I am a passionate learner and wish to know more. "Off the hook" and amazing presentation my friend.